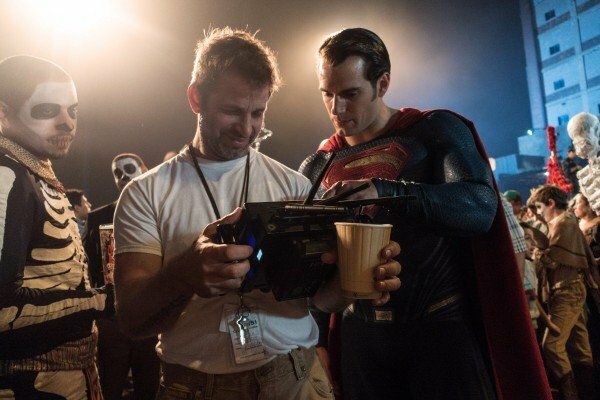 Zack Snyder’s Batman V Superman: Dawn Of Justice was divisive… to say the least. Though the follow-up to Man of Steel definitely has its fair share of fans and defenders, it received a pretty sound beating from the majority of critics, and was disowned by many comic book purists that were unhappy with the dark tone and its depictions of the iconic title characters. Snyder has commented on the backlash before, but in a new interview with Vulture, the director really opens up about it and admits that he wasn’t expecting such a negative reaction to his film. When Batman v Superman came out, I was like, ‘Wow, okay, oof,’. It did catch me off guard. I have had to, in my mind, make an adjustment. I do think that the tone of Justice League has changed because of what the fans have said. That said, Snyder also maintains that the story Batman V Superman needed to tell was always going to have a bleaker tone, and the plan from the beginning was to give Justice League more of a fun vibe. You really had to dig down on the darker parts of them to make them fight each other. I really do believe that with this movie, with Justice League, they’ve been freed of the responsibility to be in a place where they would fight each other. That’s liberating for us in making the movie, because now we have a single enemy with a single objective, and it’s really about uniting the team. That, to me, is a fun activity. The Justice League set visit reports certainly back this up, but it remains to be seen if Snyder and Warner Bros. can win back the fans they lost after Batman V Superman: Dawn of Justice when the movie hits theaters next year.